In the spring of 2014, the Friends of the Fells launched an updated Fell Trail Adopter Program. Two dozen interested volunteers attended an information session and ultimately 17 individuals and groups applied to adopt a Middlesex Fells trail in 2014. Throughout the year, over 15 miles of trails and paths through the Fells were actively maintained by trail adopters. I could see the impact of their work when scouting trails to plan community service events like National Public Lands Day. Areas that have often required cleanup efforts were found in a pristine state. Several trails have been easier to navigate thanks to volunteer efforts to clear brush from the trails and signs. While hiking or running during hurricane season, I would often encounter downed trees or branches one week, only to find the trail clear and passable the following week. The efforts of individual Trail Adopters complemented the ongoing efforts of DCR to maintain the Reservation. Park Ranger Mike Nelson noted that “It’s great to have extra eyes and a fresh perspective out there to let us know what problems exist so we can address them.” DCR staff have cut away fallen trees reported by trail adopters, and also re-blazed a confusing section of the Cross-Fells Trail based on input from the adopters. Several local groups have joined the effort. 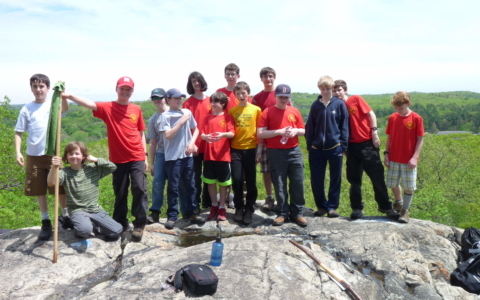 Melrose Boy Scout Troop 615 (pictured), a Girl Scout troop from Winchester, employees and volunteers from Zoo New England, students from Medford High School working with Eagle Eye Institute, and the Young Members of the Appalachian Mountain Club’s Boston chapter all participated in the Trail Adopter program this year. Thank you to all of our Trail Adopters who have worked to make this program a great success! Looking forward, DCR has approved the program to continue in 2015 and I have already received reports from Trail Adopters working in the Fells this January. With 79 miles of trails and paths running through the Fells, there is room for many more to join the program this year. The Friends of the Fells Trail Adopter Handbook will tell you all you need to know about adopting a trail. 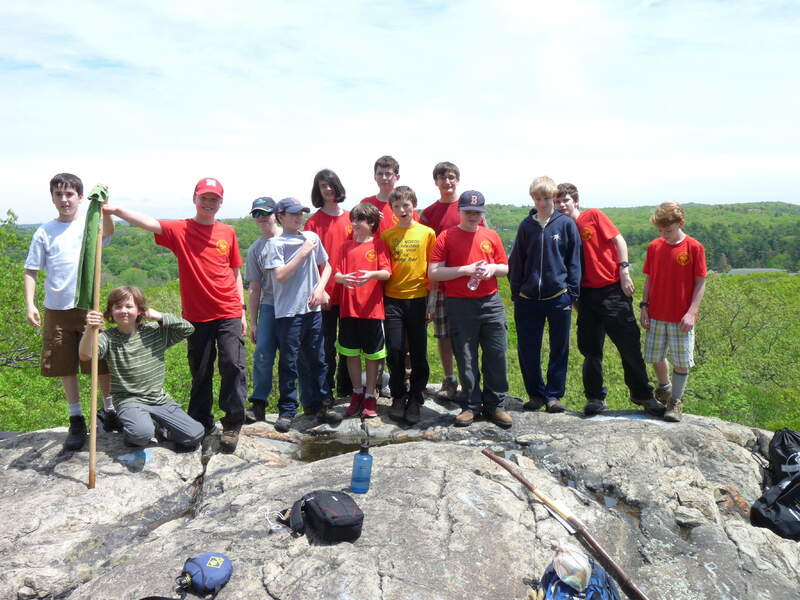 To get involved, see the Fells Trail Adopter Program page. Rich began volunteering with Friends of the Fells in 2010 as a co-founder of the Hike'n'Carry series of family-oriented volunteer trail clean-ups.Rich then joined the FoF board as Volunteer Coordinator, and launched our revamped Trail Adopter program in 2014.In 2015, Rich was elected chairman of the board. A fantastic program. Congratulations to Rich Sanford who initiated it and leads it.